Today was the day. Ola Mac’s last match day with the OPM collective.... it dawned wet and windy; pretty much like the whirlwind that is Ms Ola Polski!!! Ola waltzed into hockey training a few years ago; back when we wore the Pink and Black; and I promptly broke her arm ? (who me? Lifted a ball randomly at someone? nooooooooo, wrong person!!) A long evening spent in A&E; friends we became; and this crazy cat loving boozy Polish girl became a firm fixture in my life. Barry (the bucket) is already in denial. As am I. Completely in denial. Who will carry the mantle now his favourite friend is departed? Pippa stuffed Peru ?? to the back of her mind and bobbled a ball past the keeper in the 6th minute, and a few minutes later put another bullet past the Caradon defence. It has to be said, at 2-0 we seemed to lose our way, our structure and some of our fight... Caradon had us on the back foot for most of the rest of the half and we battled to keep our lead. Ola has always been one of our most flexible players, pretty sure she has covered every position on the pitch at some point in her OPM career!! Today she was our sweeper; bossing the defensive line and doing her utmost to support our newest youngster Daisy Boucher who played her first league game in goal. Daisy did a great job, making some fab saves and attacking the ball in the D - amazing effort from one of the youngest keepers we’ve ever had!!! 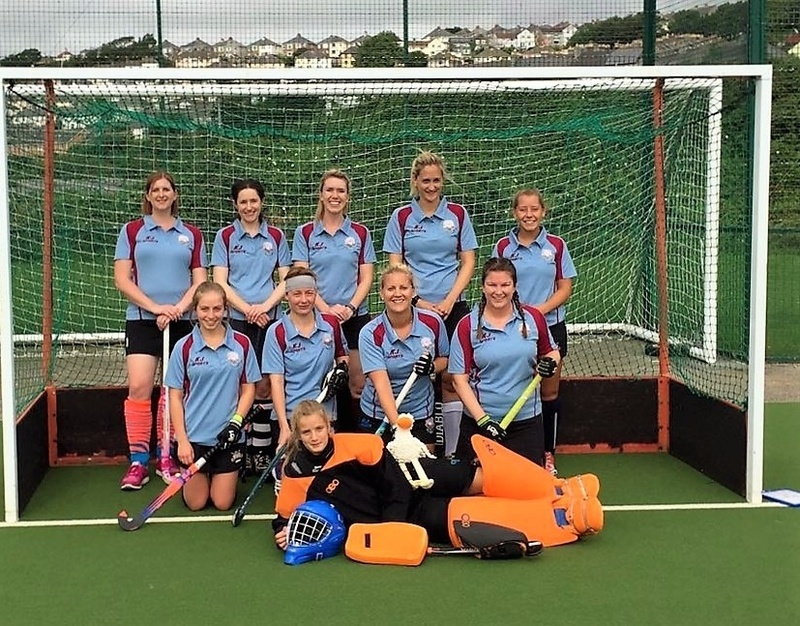 Despite the defensive efforts, Caradon found the goal not once but twice in the latter part of the first half; beating us in a well executed short corner and with one of their own performing a Pippa-Esque base line slip. Half term came with a flurry of words; a sterner team talk than usual from both Captains and our supporters - Rob, Tommo, Liv and Dave Skeels - who ate all the sweets??!! The 2nd half was a long fought battle; much of the possession remaining with OPM, some fabulous hockey all over the pitch - and much much more grit ? !! Caradon defended for their lives; numerous scraps in the D and at least one fabulous save on the line from one of our short corner routines - although I don’t know it’s name?!?! The end result remained the same; 2-2 - and a point in the bag. Ola was the fine owner of an interesting aerial; which nearly decapitated Gen - winning her Ditzy for one final time... Fitting since Ditzy has spent a significant amount of time with her; mostly for her drunken disorderly antics!!! To be fair, Pippa also got a vote for leaving Ditzy at home, and I did too for being a little less zen-like than usual (sorry peeps!!). Genevieve fought off contenders from Perky, Katie, Pippa, Ola, Daisy & Loz to win herself player for her battling in midfield - congrats; so well deserved!!!! Roll on next weekend for our last League outing before the half term break!